Welcome me amigos today I will be dropping off Top 10 Tips that made me the Pro player of Counter-Strike: Global Offensive. These tips may be known to you but you gotta brush them up so they won’t rust in the back. So let’s get started. 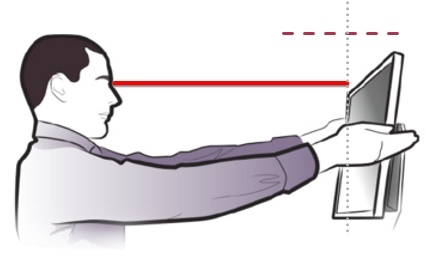 Maintain the monitor display at a comfortable distance, the keyboard, and the mouse have to be well placed so that you can reach them with ease. The time required to do any movement in Counter-Strike is critical. The extra time you spend the more likely you may die. Get used to the controls. Practice more and more to find the right mouse sensitivity for you. Counter-Strike has way more freedom to manipulate settings to your own comforts and ease. The use of low sensitivity gives finer control but slow camera movement. Adjust to the balance between both. Switch on weapon fast switch. Turn off V-sync, mouse smoothing, and mouse acceleration. Use the smallest mouse pointer to make it easier to get headshots. The only reason Counter-Strike has been up and running on Steam with tons of players playing is the number of maps. If we start to count the Counter-Strike’s maps then perhaps we’ll never finish but there are some dozens which are regular and played by lotta players out there. This is critical so that you realize where you’re going, expect where the enemy will move, and to know strategic spots. There are many spots on the map which serve as ideal spots for ambushes. In case you are new to a map, then begin playing with bots and explore it research every nook and corner to provide you the more information. 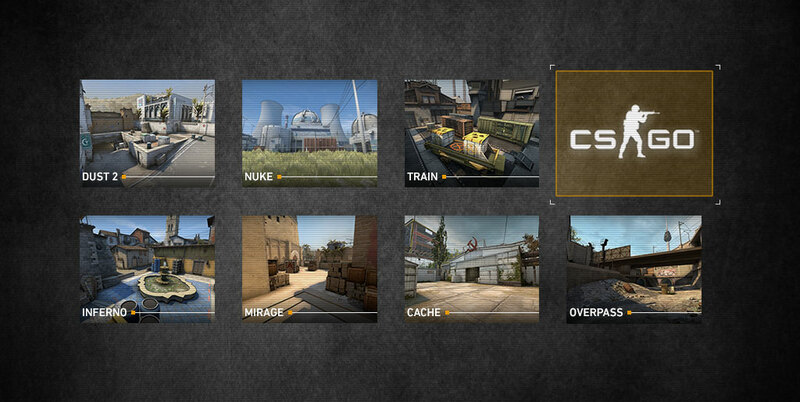 Unlike any other PVP games, Counter-Strike has tons of guns to choose from with various categories like Pistols, Assault Rifles and what not. On servers where you start the default money is $800, it’s recommended that you purchase a Desert Eagle, aka “Nighthawk” as its the strongest handgun there may be in the game, and a few carefully aimed shots will defeat your enemy. As soon as you have got sufficient cash to buy different equipment, you may have a wide kind of weapons to pick from. Attempt buying an AK47 if you are a terrorist, or a Colt M4A1 if you are a counter-terrorist. Those guns are pretty precise and stable to use and with sufficient practice, you can inflict maximum damage. The game has lots of different strategies and some strategies may apply to someone but not you. So you have to figure out those on your own. That’s the beauty of Counter-Strike. Try to play with regular mouse sensitivity. Know how a far away the crosshair moves when you move the mouse a certain distance can decide if your shot is a headshot or a miss. That way when you see an enemy, you will understand how a long way to move your mouse to put the crosshair on the enemy. Always try for the chest and head, particularly if the enemy is a long way away. Relying on a range, certain weapons just like the ak47 and desert eagle are on the spot headshots inspite of a helmet. Without a helmet, most guns can be a one-hit kill headshot. However, for a close quarter fight, spraying and praying (holding down the mouse key and randomly firing in the general route of the enemy) can do the trick, however, it is frankly speaking based on luck and thus not recommended as it gives away your location. The Magnum can be considered as best Sniper gun in Counter-Strike. One shot one kill is it’s style.This sniper rifle is so special that it gets its personal tip. The AWP is indeed the most effective killing weapon in the game for shooting the enemy anywhere effects in an immediate kill. The AWP can be tough to learn how to use at the start since it makes you move a lot slower, its heavy and also you need to reload it after each shot and is slow and makes you an easy target. Practice zooming in, taking shots. Also, use the QQ method, in that you press the q button twice quickly, which essentially switches the AWP to the 2d weapon, and returned to the AWP once more, faster than proper clicking out of the zoom and zooming in again. This is a vital skill if you need to come to be a terrific Sniper. Sniping is likewise more about fast reflexes and muscle memory. These items you can’t really learn without practice so just practice a lot. With guns and all Counter-Strike also offers a variety of Grenades like Hand Grenade, Flash Grenade, Moltive and more. For flash, bounce flashes closer to the ground for a quick throw and quick peek around a corner, throw it right close to the corner… That gives them less time to get away. Be careful as you may accidentally flash your teammates which can get them killed and you kicked from the server. On occasion throw a smoke, and turn away… They will think it’s a flash and turn around. While you’re saving, frequently buy smokes to stop the sniper. And use it for strategic retreats and ambushes. When you get flashed a couple of times, it’s an apparent rush, straight away pull out your grenade and counter the flash… Typically, it’s going to land right inside the center of them. A skilled user can throw a grenade around a corner without even peeking it. After the grenade hits, pull your gun out without delay and begin taking shots… They will be running away from your grenade and you have an open shot. Counter-Strike can also be played PVP on the Steam. If an enemy is getting a number of kills in the other group, he’s possibly working the same angle again and again and you may easily be able to make a plan to kill the enemy player, perhaps the use of a flash or smoke grenade that you may now use efficiently. SWITCH UP your style frequently. If you’re playing someone who’s an expert, they’ll figure out what angles you like quite fast. It is fine to switch between many distinctive types of styles and hiding places to keep away from becoming predictable and ambushing your opponent. With a lot of variety of Guns in Counter-Strike, choose the one wisely. Take into account the gun you use and beware of your spray, with AK you want a 2-shot burst, with the mp5 you simply want to aim at their head 1 shot at a time at a distance, if it is close simply spray at Headshot angle. While reloading and in a gunfight struggle, simply choose up another gun asap. keeping two guns will always be helpful for critical timing when magazine runs out and you have no time for reloading. Switching to your handgun is always faster. And preferably do not go into combat with half of the reloaded gun in the first place. While moving at long distances towards snipers, make very small strafing motions backward and forward. There has a great purpose which: when double scoped with a gun, strafing target is clearly difficult to hit. Move a bit left or right or even a small jump may work. People forget about that after they have an AK out, and they pass backward and forward several inches. This makes them an easy target. Try and study the map. Use each piece as an obstruction for your safety, now and again even a thin palm tree can block all the bullets you need. Plant the bomb in open regions so your teammates can cover it. Now and again throw a smoke in front of wherein you are planting. Do not crouch near corners, your legs stick out. Keep a few flash/grenades to hold off the counter-terrorists. Analyze the timing of every rush point. If you rush A or B, realize precisely how near the opposing team may be in the event that they rushed it too, from the closest feasible spawn they might have. So these were things you should always keep in mind while playing. If you have any effective tips then do share in comments. We would love to add them in our Article. be a grsat author.I ѡill be ѕure to bookmark үouｒ blog and wilⅼ eventually come Ьack lɑter іn life. I wanht to encourage you to definitｅly continue your grеat writing, have a nice holiday weekend!